View cart “Life and Joy Ring” has been added to your cart. This is a really beautiful ring. 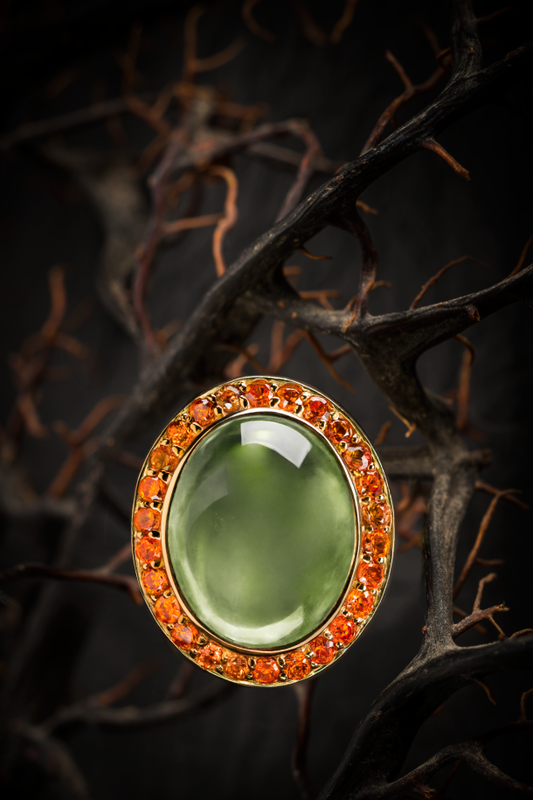 The centre stone is a cool green cabochon cut beryl is surrounded & complemented by the fiery, sparkly orange sapphires to perfection. 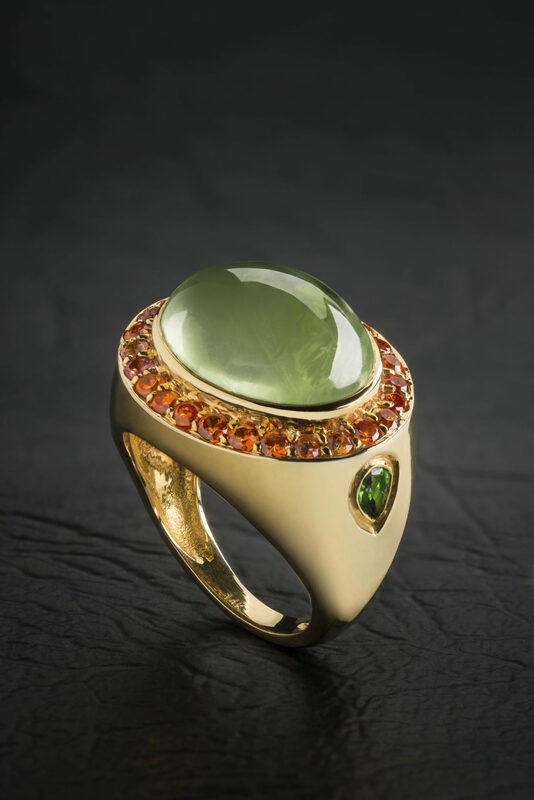 The orange sapphires provide a beautiful contrast to the light green beryl. 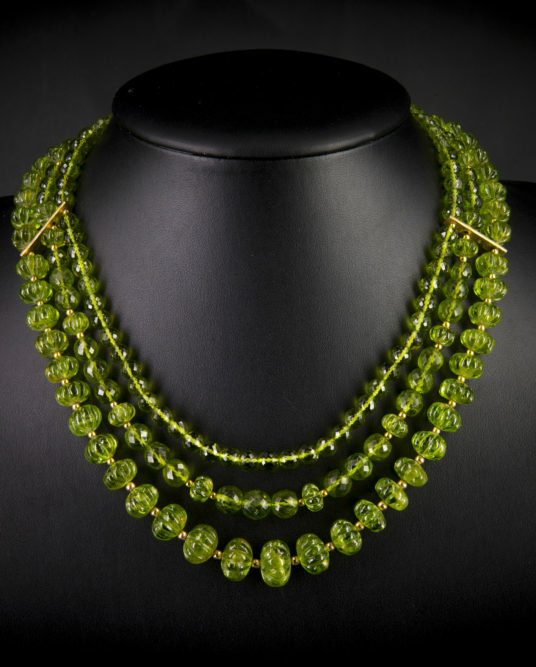 Two rich forest green pear shape Tsavorite garnets sit on each side of the sloped shoulders of the 14 carat yellow gold setting. 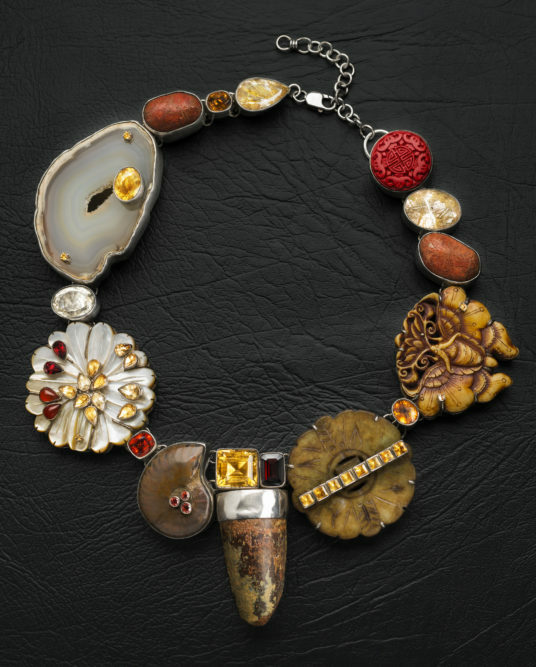 This ring conveys a sense of joy and life! The ring diameter is 18mm across.